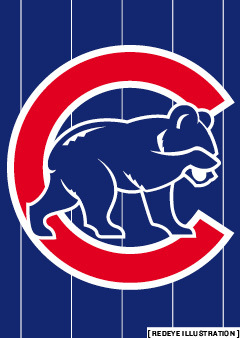 I’d jump off the Sears Tower before I’d jump on the Cubs’ bandwagon. Not the whole city, kid. Maybe three-fifths of the city, but not everyone. Have you heard about the couple that named their child Wrigley Fields? “And I’m Petco Park,” she’ll respond. This is the first I’ve heard of a child named Wrigley. I’m sure there’s nobody out there named “U.S. Cellular Field,” but I wouldn’t be surprised if there’s a Fenway Park(s) or two living in the Boston area, even though I couldn’t find any via a few of those name-search databases. In the 1990s, a few Bulls fans named their children “Jordan.” That’s not a bad first name, and you can always tell people you named your girl after the Jordan Baker character in The Great Gatsby. But Wrigley Fields — not much doubt as to the origin of that name. That kid’s gonna be a Cubs fan for life whether he likes it or not. The question is, is the year of little Wrigley’s birth the year the Cubs finally go all the way? Certainly better than Milwaukee, and probably as talented as any team in the National League. They’ve got some big, veteran bats and some strong arms, and an Old World manager who has this weird thing about him — he actually plays the guys who deserve to play. Barring a huge collapse, the Cubs will make the playoffs, and there’s no reason to believe they can’t make a serious run, a la last year’s Cardinals. Nobody cares about your regular season record if you win the whole thing. Just ask the Detroit Tigers. When I see the Budweiser commercial with all those good-looking Cubs fans having the time of their lives; when I see the postgame singalong to Steve Goodman’s “Go Cubs Go”; when I watch the saturation coverage on the local sportscasts — I don’t hate it like some of my fellow Sox fans hate it, but I don’t feel it, either. It’s like watching the Mets or the Indians enjoying first place. I’m totally immune to it. I could be in the bleachers at Wrigley Field and I could catch the World Series-winning home run ball, and I still wouldn’t catch a whiff of Cubs Fever. And whoever plays the Cubs! That’ll be the prevailing sentiment in Sox Country if the Cubs are in the playoffs. You’ll go to certain bars in certain neighborhoods, and they’ll have the game on — but the locals will be rooting for the Mets or the Diamondbacks or the Phillies, or the American League representative if (God forbid) the Cubs are in the World Series. I used to be that guy, but no more. For one thing, the Sox already got there first, so no matter when the Cubs finally win a World Series, they’ll be second in line. I know it’ll be a bigger deal in the city and certainly nationwide than a Sox championship — but we already have our framed ticket stubs and our 2005 memories. We got there first, and that can never change. Beyond that, I have too many good friends (and even a family member or two) who are Cubs fans. If they get their moment, God bless ’em. They’ll be going crazy in Wrigleyville and in every house that bleeds Cubbie blue. But for me it’ll be about as exciting as the Cardinals beating the Tigers last year.